Some week ago, from 15th until 22nd of September 23 people from Austria, Italy, Slovakia, Czech Republic, Poland, Lithuania, Estonia, Macedonia and Malta gathered in Klagenfurt for the training course under the title “Desire To Inspire”. This training course was based on the importance of leadership in everyday life situations and even more on those appearing in youth work. The focus was put on methods and aspects for and about leading groups, but also on how to present oneself and behave in order to be respected. In order to make this week as great as possible and a secure learning environment the first one and a half days were dedicated to the topic of getting-to-know each other and building a team out of this group of people. 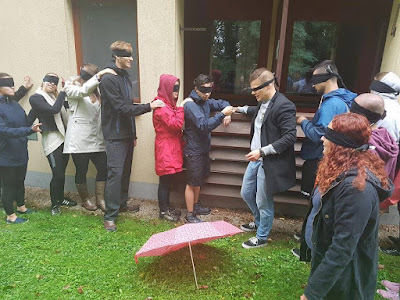 Having been blind-folded, for example, was part of a trust- and team building activity and from the trainer's perspective definitely made those 20 participants an amazingly strong team for the upcoming days. Each day had a different topic such as group dynamics, live action role play, myself as superhero and overall leadership. Aside from theory we tried to give the stage to participants and let them learn by putting into action their new knowledge and receiving feedback for further improvement. Everyone was so into the topic that even offered free time was used to keep on doing workshops and discussing topics of the sessions. 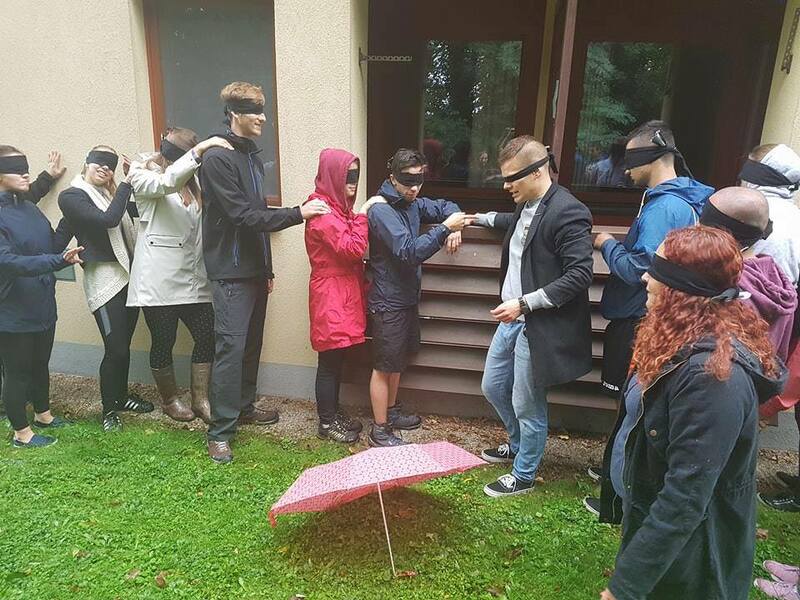 Together we all got new perspectives and a bigger understanding of leadership and its importance in youthwork. Having had the chance to discuss about and work on this topic intensively I can definitely say I've improved my skills and learnt from everyone of the 22 other people there. Besides working there was also time for cultural exchange, game nights and story telling in the evenings. "The DTI was an unforgettable experience for me. Things that I have learned there about leadership, team work, trust and friendship were surprisingly amazing. The organization was perfect, the group was like one big hearted family and I can honestly and truly say that I had the time of my life, time filled with lots of fun,crazy games, laughter and inspiration. We were many deferences connected together in one perfectly big puzzle." 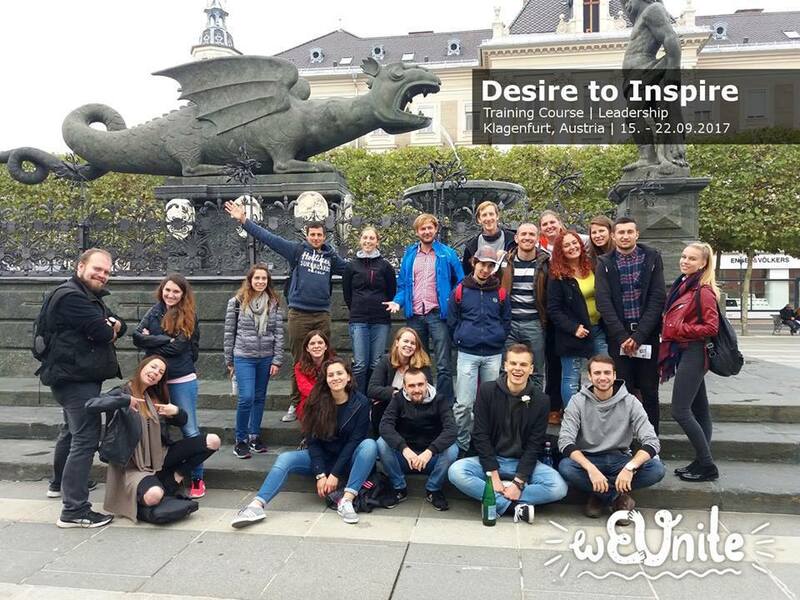 "Desire To Inspire was the first training course I participated in but given my previous experience with youth exchanges, I kept my expectations low. The projects I've been to before were great but their organisation was rather disappointing. That's why I was so amazed when I saw all the effort wEUnite made to make sure everything is prepared and on point. We had all we needed (or even more) and we got the opportunity to improve our soft skills & leadership skills. The activities we did were always innovative and enriching so I really enjoyed each one of them. Besides that, I've also made many new friends and got to know myself better. Thank you for everything !" "Desire to Inspire was quite a special training. 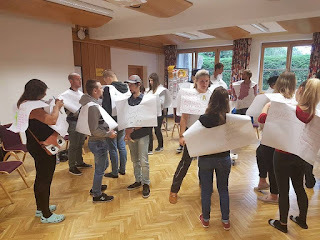 Each activity and workshop managed to help the participants in learning something new about working with groups, about being a leader as well as what happens when there is no leader. IT was an amazing privilege to take part in it." "The training gave me a lot of opportunities to practice leadership, as well as being a follower and possibilities to support others. I put my focus also on communication with people in terms of helping them to see their potentials and how they can enable it. 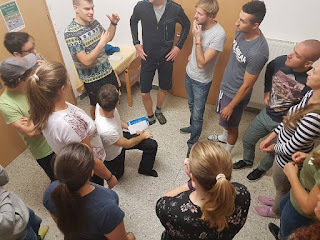 Furthermore, I took special opportunities from the organizers to facilitate and lead workshops which gave me the confidence to be able to perform on different stages in front of people in future and to create and facilitate activities and workshops for other people to help them to improve themselves. During this training I improved my skills to be in lead by being authentic, pro-active, open-minded, team-oriented and a role-model in order to successfully achieve goals. Thanks a lot to all organizers for realizing this great training! It was a pleasure to be part of it!" "The training course DTI influenced my personality a lot. We were busy but as I am retrospecting, I am appreciating it at the same time. Now I believe in myself much more but what is more important, I met people who are like me and they are my friends now."